Welcome to the Oklahoma State Poultry Federation Official Website. We are an Oklahoma Poultry Club that is family oriented and was formed in 1914. Throughout many years the club has held poultry shows, even hosting APA and ABA National meets. The OSPF has a deep history through its years of existence! We welcome everyone that would like to come to show with us or just for a visit. Our show has grown to over 3,000 entries and this year we added a double Spring Show March 21, 2019. We look forward to seeing you at the show. 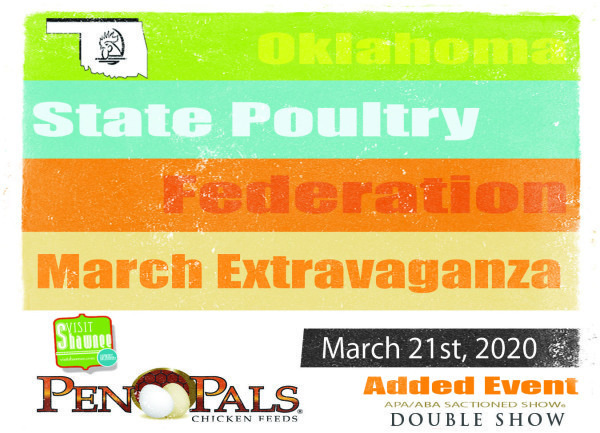 OSPF Supports all other poultry shows in the State of Oklahoma! Red River Bantam Club October 5, 2019, Marietta, Ok.